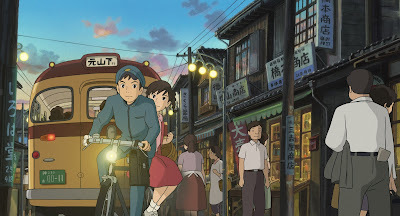 Film Review: Studio Ghibli crafts a reflexive gem with "From Up On Poppy Hill"
Note: This film was not screened in advance for critics in Denver, so I had to see the film on my own, and it unfortunately took me a little while to get around to it. As such, this review is posted here, rather than at my current home of We Got This Covered. The Landmark Esquire, where the film is being shown, is screening both the new English dub and the original Japanese version, and the text of this review refers to the latter. Gorō Miyazaki’s From Up On Poppy Hill strikes me as a very important film for Studio Ghibli. The famed Japanese animation house is not yet a crossroads, but it will be one day, for founding filmmakers Hayao Miyazaki and Isao Takahata are both over 70 years old, and will not live forever. It is a sad notion to consider, but one the film itself invites us to ponder, for in his second directorial feature, Gorō Miyazaki works alongside his father, the elder Miyazaki performing script duty, to deliver a story about the passage of time, the importance of the past, and the possibilities of the future. My book, "Fade to Lack," is now available for Kindle E-Readers! 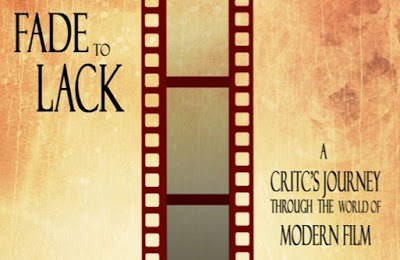 As has been frequently requested over the last month, my book, Fade To Lack: A Critic's Journey Through the World of Modern Film, is now available as an e-book for Amazon's Kindle! The price is $7.99, and you can buy it here! The book has been published as part of the Kindle Owner's Lending Library, so if you own a Kindle device and are an Amazon Prime member, you can borrow the book free of charge. And if you do not own a Kindle, the book is of course compatible with all Kindle reader apps for Mac, PC, iPhone, iPad, Android devices, and more. I personally do not own an actual Kindle device, but I use the apps all the time, as it allows me to access book from any web browser and all of my electronic devices, which I why have chosen Kindle as the platform for the Fade to Lack e-book. It will be exclusive to Kindle for the foreseeable future, but if there is interest in other e-book version, for Nook or iBooks, please let me know, and I may be able to release an edition for those readers sometime in the future. But for now, the book is a Kindle exclusive - although I have elected to make it DRM-free, both because DRM on e-books is silly and immoral, and because it may allow users of other platforms to put the file on their devices (wink, wink). All I ask is that you refrain from pirating the book. Superheroes. 3D. Digital projection. The world of modern film is in a constant state of flux, and in a career that began at the age of ten in the pages of The Denver Post, critic Jonathan R. Lack has spent his adolescence and beyond writing about it all. Featuring over 50 full reviews, numerous in-depth analytical essays, and major, multi-chapter explorations of recent pop culture phenomena like Harry Potter, Twilight, and The Hunger Games, Fade to Lack – named for the author’s weekly print column in The Denver Post’s ‘YourHub’ section – offers an entertaining and insightful survey of contemporary American film, filtered through the journey of a critic who grew up studying this fascinating, evolving medium. Remember, you can also purchase Fade to Lack in paperback from Amazon.com, Barnes and Noble, and throughout Amazon Europe, all of which are offering the book for at least 10% off! And you can now visit my newly created Amazon Author page for further details and updates! 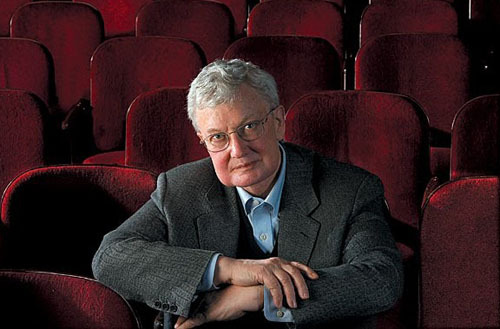 It is a devastating day for film fans everywhere, as Roger Ebert has passed away at 70 from his long battle with cancer. He was a hero to me - just look at the title of this blog - and I had much to say about him. Enjoy, and please share any thoughts you have on Ebert's passing here or at We Got This Covered in the comments.